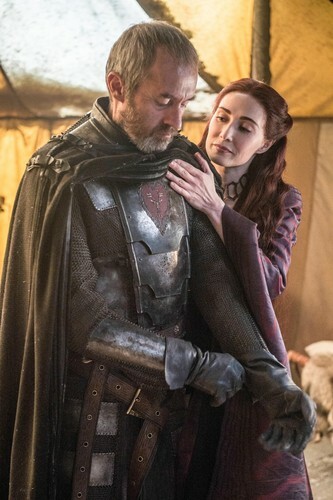 5x10- Mother's Mercy. . HD Wallpaper and background images in the गेम ऑफ थ्रोन्स club tagged: photo game of thrones season 5 5x10 mother's mercy stannis baratheon melisandre. This गेम ऑफ थ्रोन्स photo might contain surcoat and सुरकोट. Would आप Survive In The Seven Kingdoms?